The CCP is focusing on the rule of law because it wants to reign in local officials. 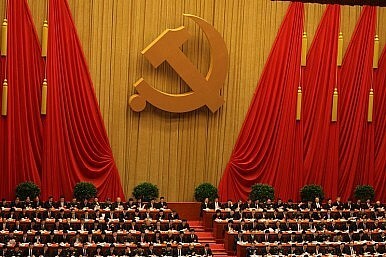 The Fourth Plenary Session of the 18th Party Congress will be held in Beijing from Monday to Wednesday of this week. Ostensibly, the top priority for the Chinese Communist Party’s 4th Plenum will be strengthening the rule of law. Still, the CCP’s emphasis on the rule of law at the 4th Plenum this week is not entirely at odds with how the phrase is used in Western political culture. Rather, the focus on the rule of law is aimed at reducing the power of local government officials. Indeed, one of the major reforms the 4th Plenum is likely to approve this week is to weaken local government official’s control over local courts. Currently, local governments control the courts in their jurisdiction, which they often use for corrupt and nefarious purposes. Under the new plan, these courts will be accountable to higher echelons of the Party. Ultimately, many of the courts may only be accountable to the central government and Party leadership. The purpose of these reforms are not to reduce local Party’s officials’ ability to abuse their power in ways that hurt their constituents, although this will likely be a byproduct of the changes. Rather, the main reason the central leadership is emphasizing rule of law is because it needs to reduce local officials’ ability to resist the economic reforms it pushing through as part of its economic rebalancing. As I’ve noted on numerous occasions, the top objective of Xi Jinping and the central leadership is to rebalance China’s economy. The main obstacle they face in this endeavour is resistance from local and mid-level Party officials. The imbalance plaguing China’s economy is that the current model disproportionately benefits Party officials at the expense of ordinary citizens. 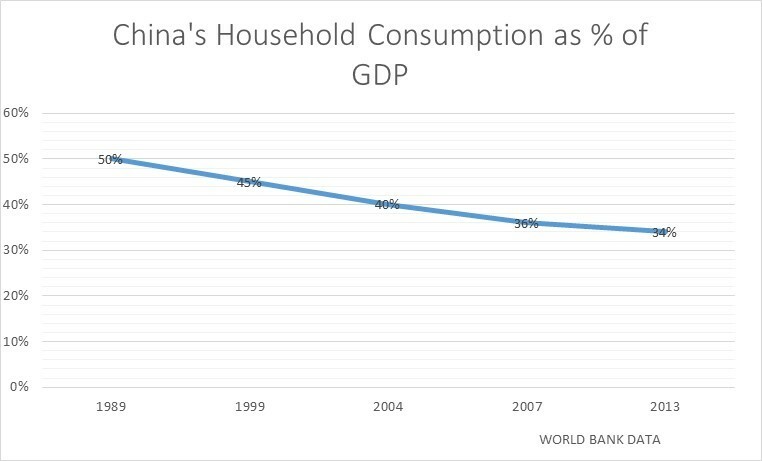 This is illustrated in China’s absurdly low household consumption rate as a percentage of GDP. 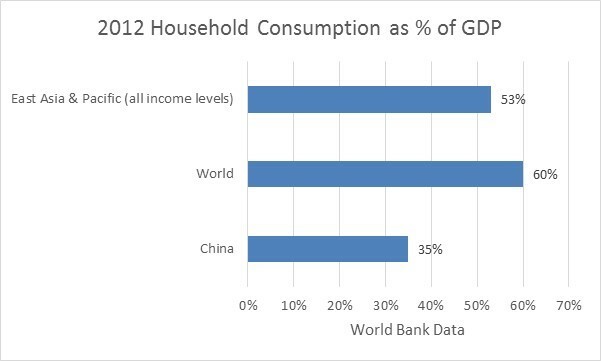 According to World Bank data (see below), China’s household consumption rate as a percentage of GDP went from 50 percent in 1989, to 45 percent in 1999, to 40 percent in 2004 and 36 percent in 2007. In recent years, it has hovered around 34 percent. This compares with a regional average of 54 percent and a global average of closer to 60 percent. The key to rebalancing China’s economy is raising this figure. Unfortunately, any rise in this figure will come at the expense of Party elites, who receive a disproportionate part of China’s economic growth over the last twenty five years. The central challenge for Xi Jinping and the central leadership is to force these local officials to adopt policies that hurt their personal material interests. The rule of law is the latest tool in President Xi’s arsenal to force compliance among these Party officials.